Handling routine maintenance on your own, rather than outsourcing professional auto service, can save a driver up to $150 or more each year. This may seem like a nominal figure, but it certainly adds up year after year. And who wouldn’t want an extra couple hundred dollars in their wallet for the holidays? 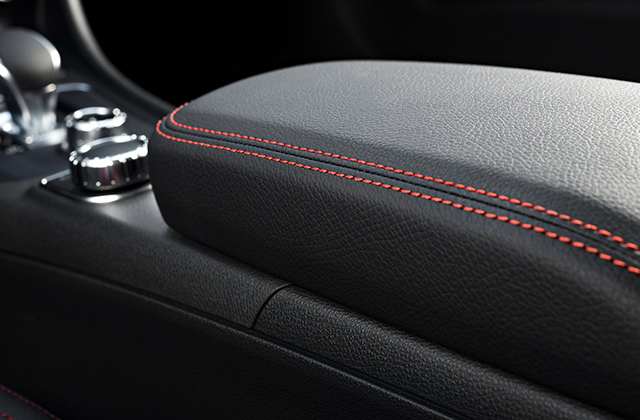 Leather protector creates an invisible shield to protect leather and vinyl against premature aging and damaging stains, without harmful oils that can discolour or damage leather. Performing your own vehicular maintenance on the areas of your car that are DIY-approved can save drivers time and money. It is vital to only perform car maintenance that does not require the tools and training of a professional mechanic. Stick to the DIY-approved vehicular maintenance checklist and keep your car safe and running smoothly. Continue reading to learn the five types of routine car maintenance you can do all on your own! Yes, you can change your own oil and oil filter without the help of a professional mechanic! All you needs are the right supplies and a little foreknowledge, and you are ready to change your car’s oil all by yourself! Acquire a new oil filter, an oil pan to store the dirty oil, a car jack, a socket set, a funnel, and a couple bottles of the motor oil your car uses. Safety goggles, rubber gloves, a flashlight, and a few clean cloths wouldn’t hurt either. The oil should be changed every 5,000 miles, or sooner depending on how often you drive. First, run your car engine for a few minutes to warm the oil up because warm oil flows easier. Then, lift your vehicle off the ground with the car jack and place the oil pan beneath your vehicle. Next, unscrew your oil cap located under the hood, and the oil drain plug beneath your car. This plug generally looks like a single bolt underneath your car’s oil compartment. Double check your vehicle owners’ manual for instructions on locating the oil drain plug. Put on your rubber gloves and use a socket wrench to unscrew the drain plug a few rounds, then use your hands to unscrew the rest of the way. Allow all the dirty oil to drain out completely. Replace the drain plug and then change the oil filter. Once this is all done, you can use your funnel to pour your new, clean oil into your engine. The next step is replacing the oil filter. Simply unscrew the old filter, allow any excess oil to drain, and then replace and tighten the filter. If you are not using paper filters, use a tiny bit of oil to lubricate the edges of the new filter before screwing it back into place. Aside from oil filters, your vehicle has air filters that need replaced on a routine basis. These are inexpensive and can be purchased at any local automotive store or general store. Expect to pay anywhere from $15 to $20 per filter. If you neglect to change your air filters, overtime you will notice a major decrease in gas mileage and vehicular performance. Luckily, this is a maintenance job you can do all by yourself! It is a simple ten minute process that is easy to learn how to do. Just follow your owners’ manual instructions! Without coolant, your car’s engine would be in pretty bad shape. In fact, it would fail to operate entirely after a short amount of time without coolant. Also called radiator fluid, coolant is imperative for the operation and performance of any vehicle. It prevents the inner workings of a car engine from overheating as a result of constant friction and heat production. If you have an overheating engine, the number one cause is lack of radiator fluid. Simply purchase a bottle or two at your local automotive store, locate the coolant cap beneath your hood, and pour the solution right in! Did you know you can change a burnt-out headlight all on your own? It’s true and not many car owners know it! Since this can get you a traffic ticket or worse, cause an accident, a burnt-out headlight is an immediate repair. And since you don’t need to make an appointment with an auto shop, you can get this problem repaired right away. All you need is a basic tool set and a new bulb! It may seem trivial, but windshield wiper fluid is one of the 7 essential car fluids every vehicle requires for functional operation and safety. And you can re-fill your windshield wiper fluid any time it runs low. Simply purchase a bottle of windshield fluid and pour it down the correct tube under your car’s hood. Do this as often as you need to, keeping in mind that you will probably need to do this more often in winter. Get in touch with the expert in wiper fluid installation. Call Spitzer Automotive at 317-253-3331 for dependable Indianapolis auto service and car maintenance you can trust. They are European automotive specialists who have specialized in British and European cars since 1965!